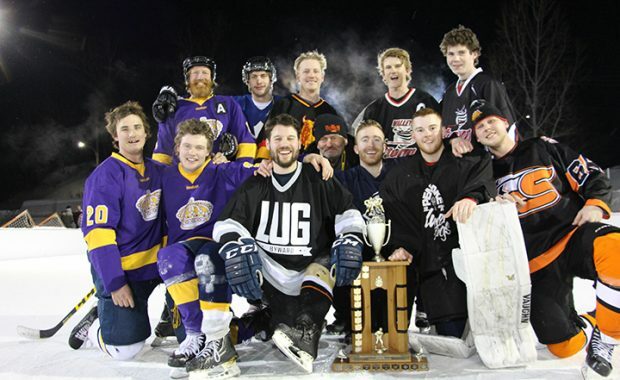 KILLALOE – From the outdoor rink in Killaloe, all Saturday long, came the sounds of the clash of sticks, blades grinding on the ice, and the distinctive ding of the puck hitting metal. 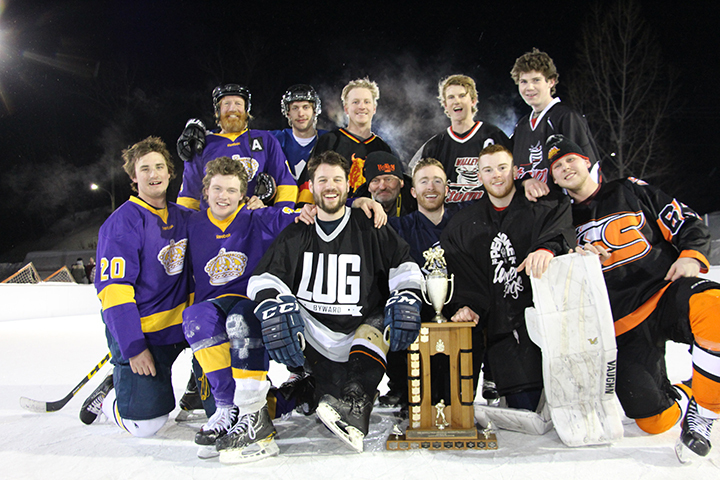 No amount of snow dampened the cheering of players as six teams challenged each other in the 28th Kevin Lynch Memorial Men’s Hockey Tournament. Kevin Lynch died of a brain tumour 25 years ago. There are also trophies to remember Suzanne Cybulskie who died in 2007 and Chris Elie who died in 2010, likewise of a brain tumour. The tournament is a chance to remember them. To read the full story, pick up a copy of the February 6 Valley Gazette or subscribe online.